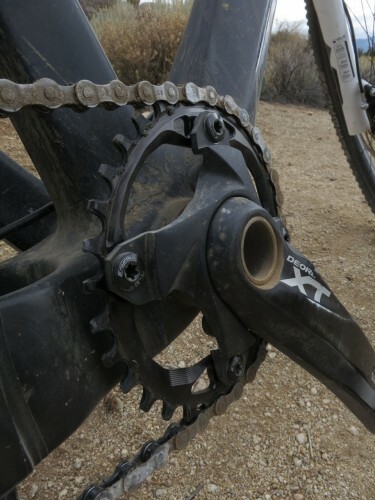 With the recent proliferation of one-by drivetrains and chain-hugging narrow/wide tooth profiles, advocates of non-round chainrings are able to sidestep their systems’ greatest disadvantage: poor front shifting. Ovalisers claim that their ‘rings’ shapes take better advantage of our legs’ imperfect power delivery, making for more consistent power delivery through the pedal stroke and less fatigue in the long term. The ovals are coming… for you. British/Polish CNC magicians Absolute Black have jumped into the fray with a squashed version of their well-regarded narrow/wide ‘ring. Offered in 32t and 34t sizes, the aB ‘rings have the radius of a chainring 2t larger as the crank arms approach horizontal (where the legs’ power and body’s weight can be brought to bear) and 2t smaller as they approach vertical (where the rider has comparatively little leverage). So wrong it’s got to be right. Right? 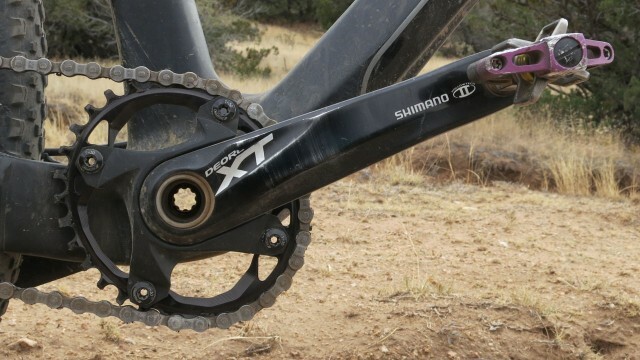 Given its 30t minimum effective diameter, the 32t model is offset slightly to clear standard crank tabs and incorporates threaded bosses into the chainring itself. This is a relatively clean solution but does make the smaller model pricier over the more traditionally mounted 34t. All together, our 32t is beautifully machined and the bosses fit snugly into XT and SRAM spiders. 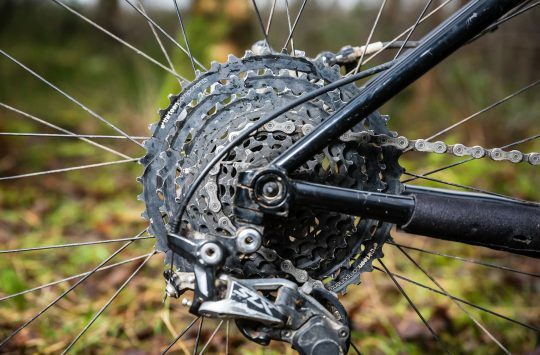 Fitted initially to a singlespeed, the oblong chainring made for a wide range of chain tension- but set up according to Absolute Black’s instructions never rattled excessively, let alone came loose even with a wider-than-recommended 8s chain. With only one gear, the oval ‘ring immediately felt good– like having an extra-fresh pair of legs. Times on the normal lunch loop haven’t improved significantly, but the extra freshness meant that a smaller cog (or larger chainring) could easily substituted. Switched to a 1×11 XC/marathon bike, the differences were more subtle. Perhaps because having gears (or going for longer rides) makes one more inclined to sit and spin, the OVAL wasn’t nearly the revelation it is when standing and straining. Back on the singlespeed, the OVAL ring has found its home. While with taller gearing it could ultimately prove faster than the round model it replaced, I’m perfectly happy to accept fresher-feeling legs and easier climbing. *We know that they’re not cogs in the typical cycling use, but ‘wobblerings’ just doesn’t roll off the tongue as nicely. 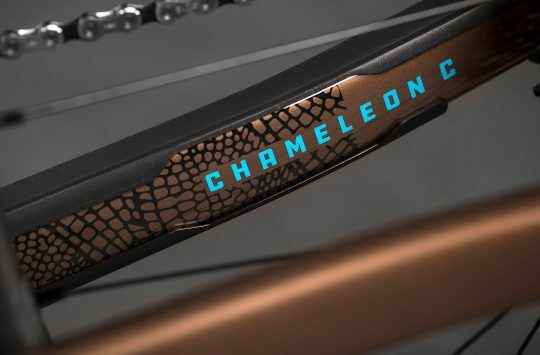 That is a genuinely interesting assessment, especially the single speed bit – how do you allow for chain (un) tension? There really isn’t *that* much variation between the highest and lowest points. Set up with the tightest point fairly snug, the result floats well within the normal range of OK singlespeed tension. The narrow/wide teeth probably don’t hurt, either. back to the future.. back in 90/91 we were treated to the same discovery by shimano and suntour.. biospace or somesuch it was called then.. did they think we would forget? Biopace was clocked 90 degrees off of the current crop of oval chainrings- achieving the opposite of what these claim (in an effort to force people into pedaling circles). I can say from my pre-instruction-reading experience that it feels very, very odd. Thanks for that MB, I’m up for trying this – might start on the single speed and see what happens – 32 rather than 34? I still can’t believe the number of people that think this is Biopace! As had been said, Biopace was mounted as wrong as is possible and couldn’t be properly corrected due to 5 arm cranks. No-one talk about Biopace again!!!! You COULD properly correct BioPace – pretty much – if you used a crank which had one of the five arms hidden behind the crankarm. I have one of these, rode about 50 miles so far and have seen a 1-2 mph speed increase on my usual routes. You don’t really notice it until you hit a climb where it suddenly begins to make sense. chocolateteapot – – is that on a SS or geared?